Deutscher Tag means German Day. From the mid 19th century through the first part of the 20th century German immigrants played a major role in the City of Newark. The former Queen of Angels Church began as St. Peter’s German Roman Catholic Church. The famous Krueger Brewery was founded by Gottfried Krueger a German immigrant. The Germans were so numerous that Springfield Avenue was referred to as “German Hill”. 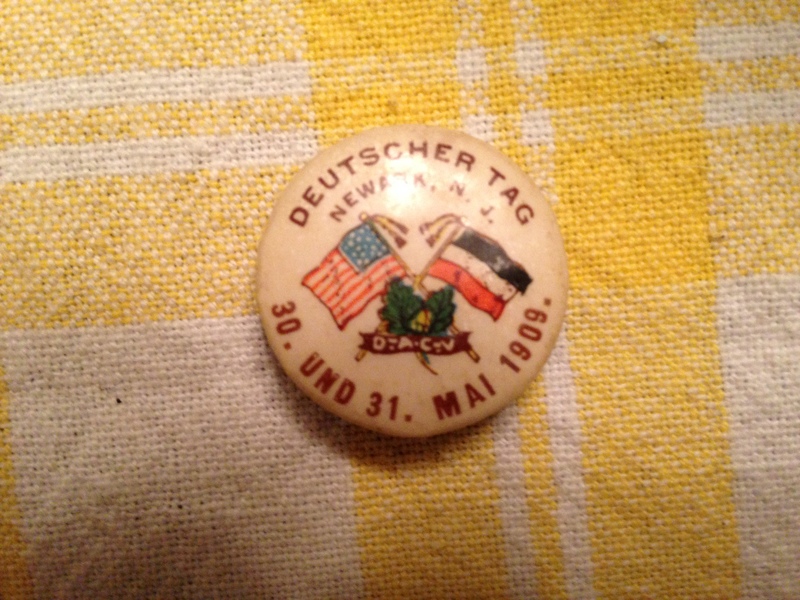 The two buttons included in this post were from German Day in 1902 and 1909, well before the First World War. 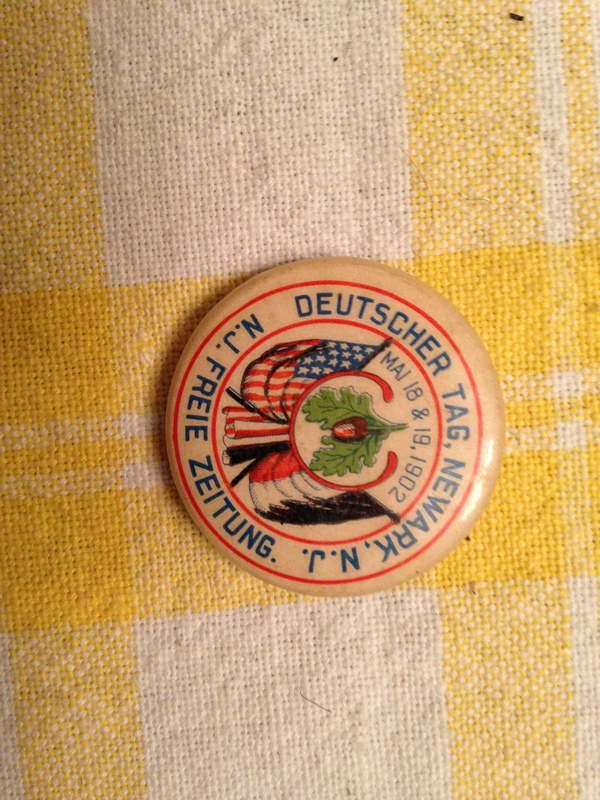 The 1902 button was presented by the New Jersey Freie Zeitung , a German language newspaper published in Newark from 1858-1954. By the 1940’s many ethnic Germans had already left Newark for other locales.